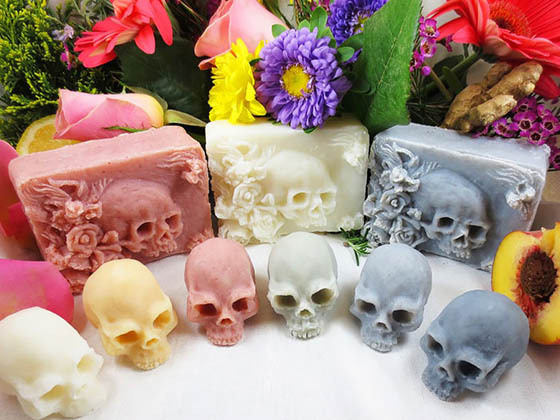 Artist Eden Gorgós has handcrafted a charming line of skull soaps “Art of Dying” to remind everyone of “symbolic of the brevity of life.” Coming in a variety of colors, these soaps are made with coconut oil, colored with natural clay/herb/flower, and formulated to moisturize without sacrificing lather. 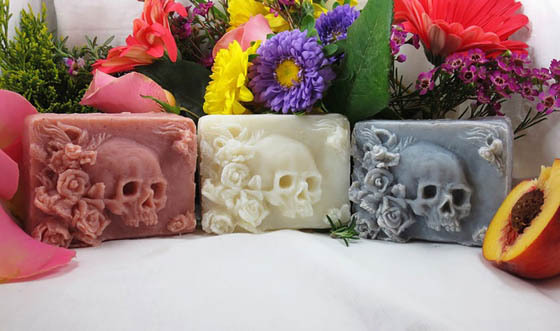 All but the white soaps are scented with a combination of essential oils. Solid lotions and unisex cologne are made with Shea butter, Beeswax/Candelilla Wax, and Calendula, Arnica flower, and Chamomile infused Almond oil (and scented with a blend of essential oils). Vanity of vanities, all is vanity. What better way to remind yourself of the transient nature of earthly pleasures than with handmade soap? 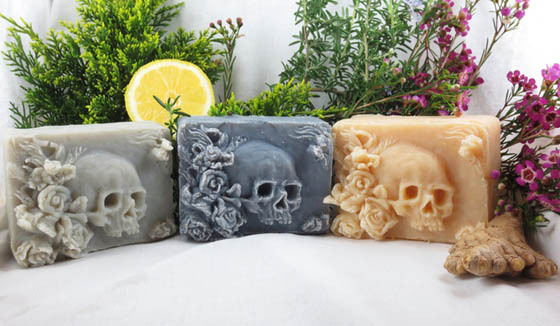 Symbolic of the brevity of life, these unique soaps are scented with the essence of citrus, earth, and sensual flowers. I absolutely love these. 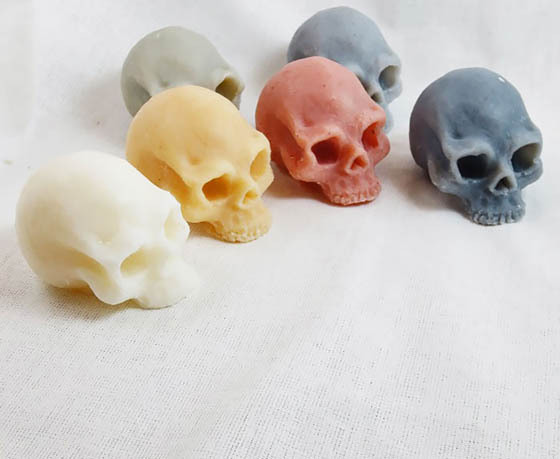 Where did you get the square skull mold from?